Lights effect Bright flare decoration with sparkles. 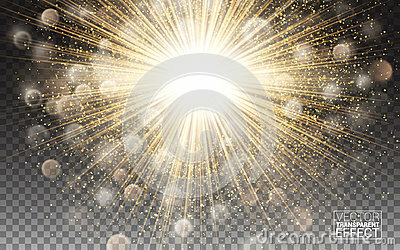 Gold glowing circle light burst explosion Transparent shine gradient glare texture. Vector illustration on transparent background.